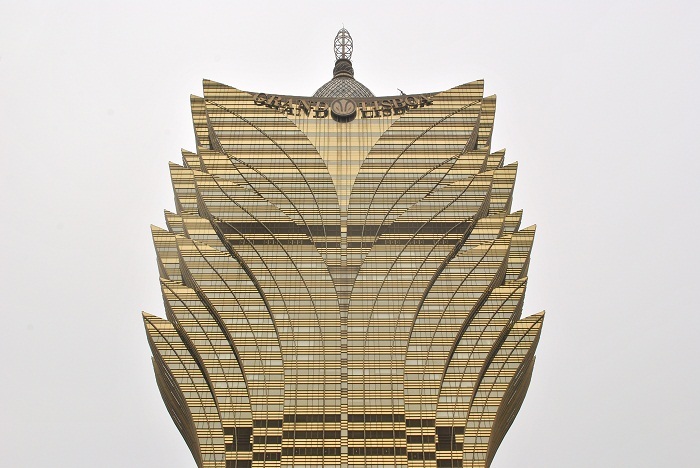 Grand Lisboa Hotel is a luxury hotel and one of the most iconic skyscrapers in the world, which is owned by Sociedade de Turismo e Diversões de Macau, and it is located the Macau Special Administrative Region of the People’s Republic of China. 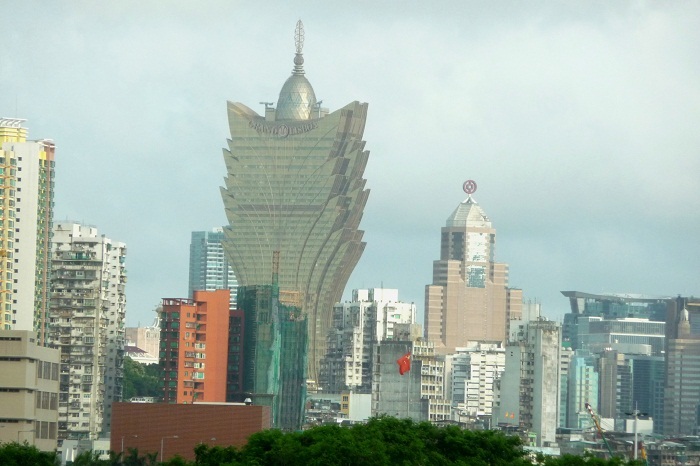 As it is one of the tallest building in the region which looks more like a giant golden lotus flower, it resembles the official emblem of Macau, and it has 47 floors, standing at 261 meters (856 feet) high, offering a spectacular views of the whole region. 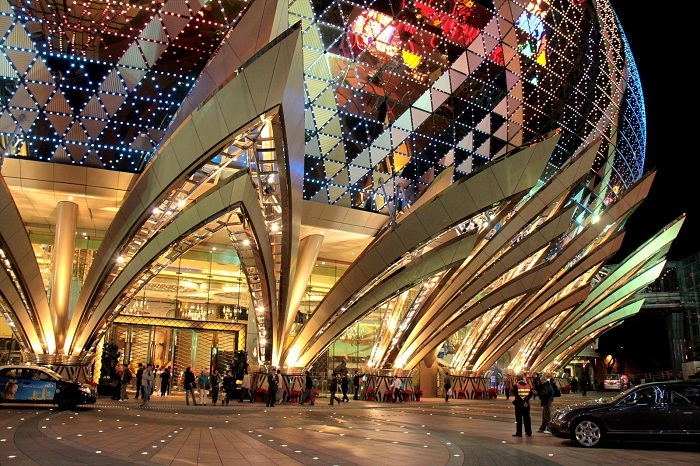 Designed by Hong Kong architects Dennis Lau and Ng Chun Man, it is located in the heart of Macau, being the real testament to extraordinary elegance and luxury. 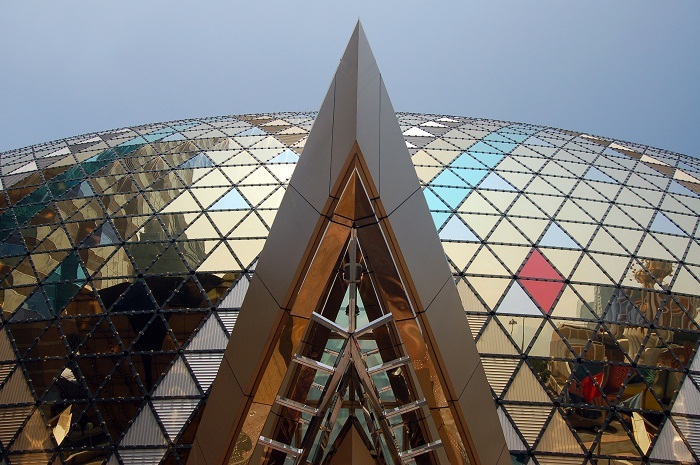 The design also owed its inspiration to a feather crown worn by a dancer, which symbolizes the vitality of the entertainment business. 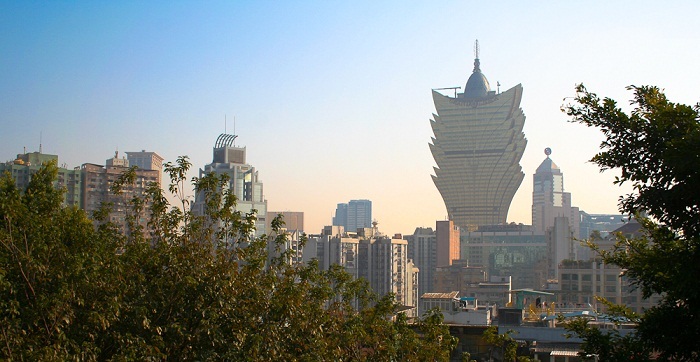 The building embraces a golden egg-shape base, which alludes to good fortune and prosperity. 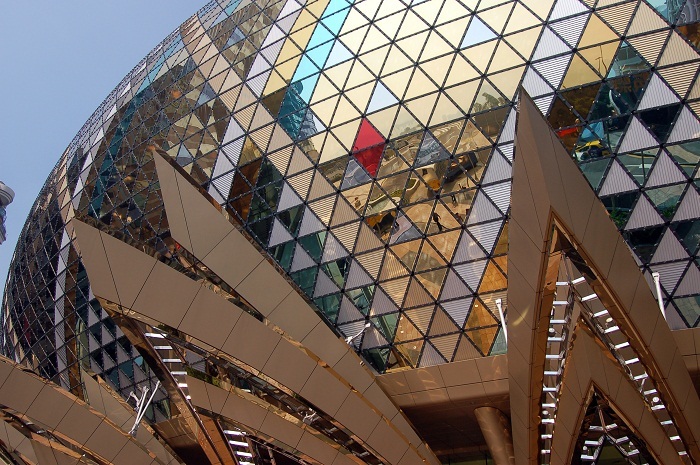 At night, the “Starsphere” base of the building is like a kaleidoscope, displaying colourful patterns and visible messages, thanks to the 1.2 million light emitting diodes (LEDs) on its surface. 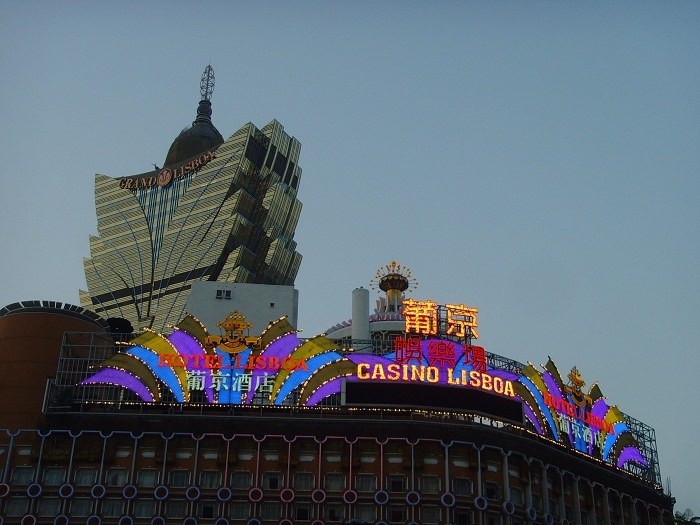 As many hotels in the world have casinos and many restaurants, Grand Lisboa too has 14 different acclaimed restaurants which together with the casino opened in February 2007. 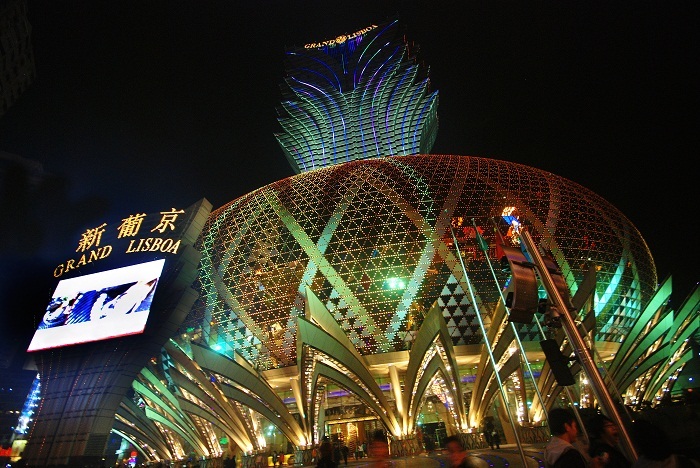 However, the grand opening of the hotel was in December 2008. 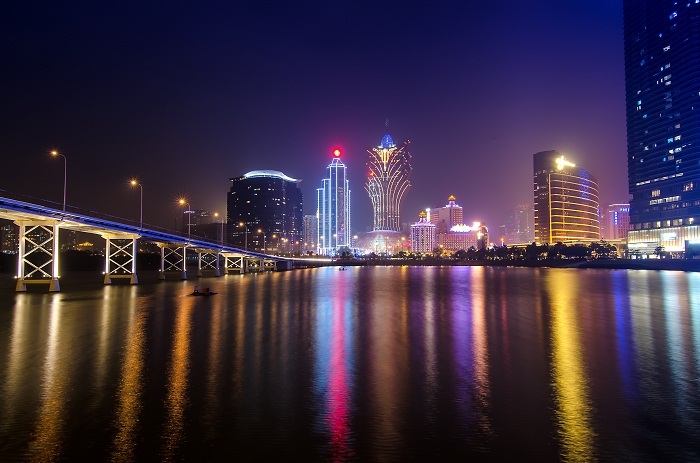 The highly acclaimed restaurant The Eight is located here, and it is one special restaurant since it is the first and only Chinese restaurant to be awarded with three Michelin stars. 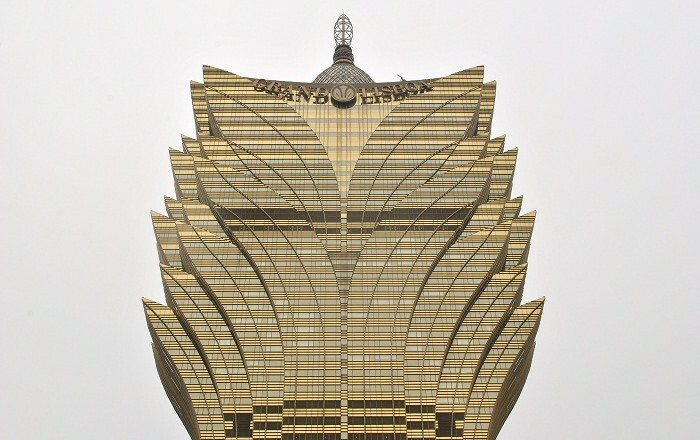 But not just that, Grand Lisboa also houses “The Star of Stanley Ho”, which is according to the Gemological Institute of America a 218.08 carats (43.616 g) diamond that is the largest cushion shaped internally flawless D-color diamond in the world. 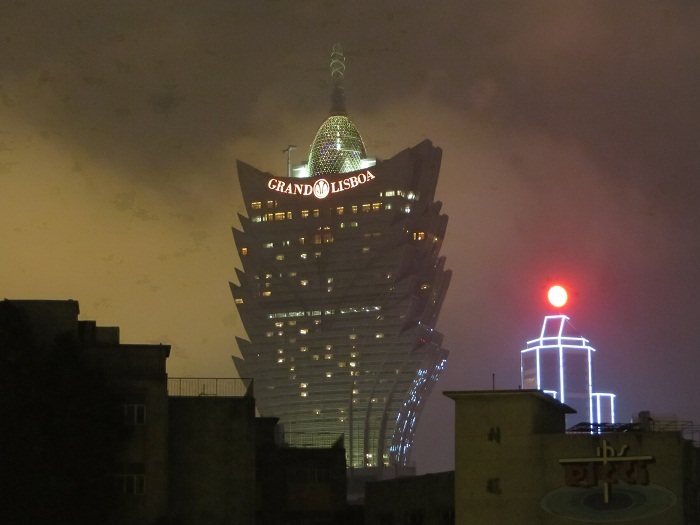 Maybe too luxurious for some people to afford their stay in Grand Lisboa, seeing it on the outside is something extraordinary that attracts many visitors from around the globe.